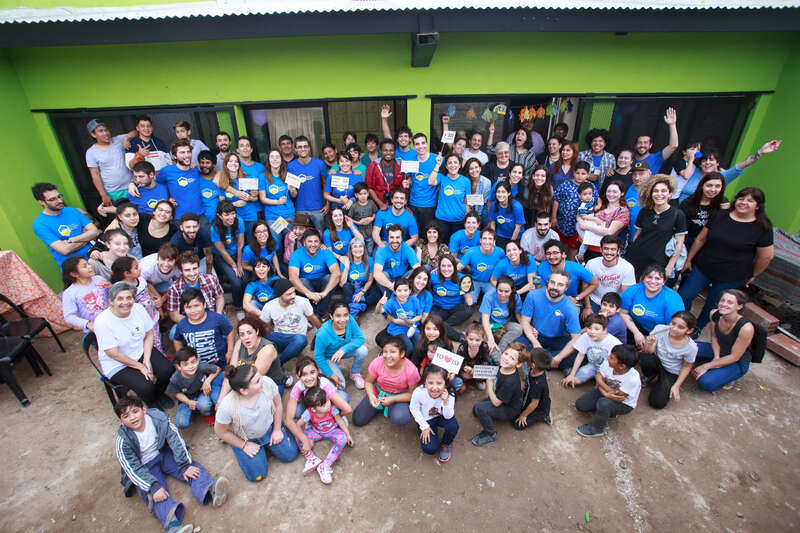 Engineering without Borders Argentina (EWB-Argentina) is an interdisciplinary civil association working for the development of socially deprived local communities by means of engineering projects. We develop comprehensive engineering projects in cooperation with communities in Argentina. We work with several co-ops, institutions and social organizations in different rural and urban sectors. We share our vision and experience by offering training programs. We promote volunteer work, participation, and the creation of collaborative alliances with institutions and organizations, both in the public and private sectors in Argentina and other countries. Since its beginning, EWB-Argentina aims to carry out engineering projects in the most neglected corners of the country, by intertwining the knowledge of different disciplines and communities, in order to jointly think up a better world. Engineering without Borders was born on February 2012, in an Armenian café in the Buenos Aires neighborhood of Palermo. There were several people at the table, some technical professionals and other related to the world of social sciences, all willing to create an association to work for the fulfillment of rights in socially deprived communities of the country. The first objective was to become visible so that other people with similar interests could join. Little by little, they came one by one, people with very different backgrounds, ages and experiences to achieve a unique, diverse and passionate group to shape this idea.